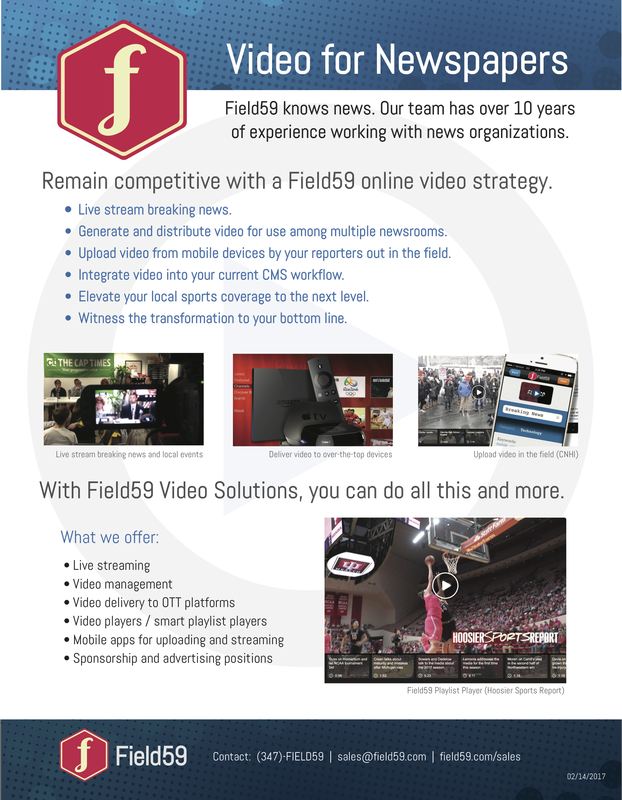 Field59’s live streaming feature allows you to stream to many platforms, including your website, mobile apps, and OTT apps like Roku, AppleTV and Fire TV. Field59 can also deliver your stream to other platforms that have their own streaming infrastructure and distribution, such as Facebook. 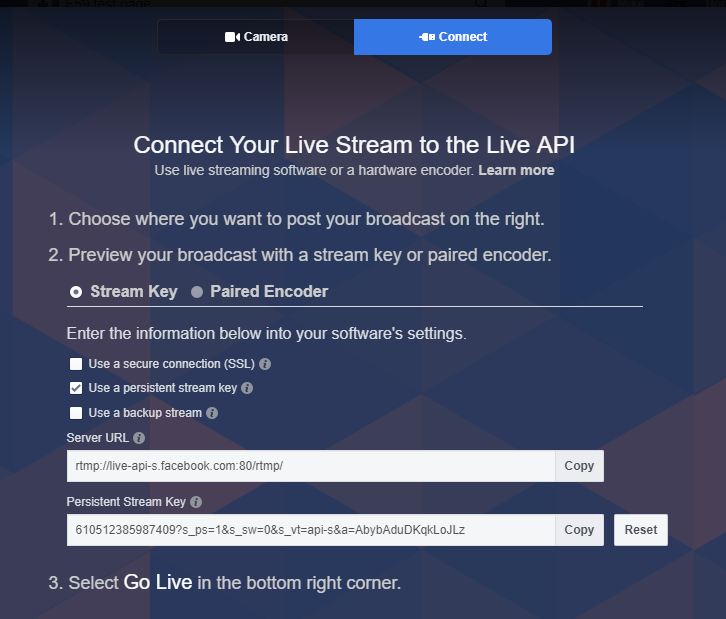 By following the steps in this article, you can stream content on Facebook while also streaming through the Field59 player, simultaneously recording your stream to create a video archive in your Field59 account. First, navigate to the Facebook Page on which you wish to live stream. Select Publishing Tools from the navigation options near the top of the page. 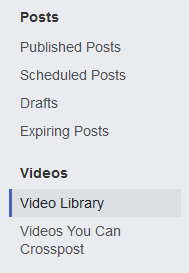 Then select Video Library from the left-hand menu. Click the gray + Live button near top right. A popup will appear. 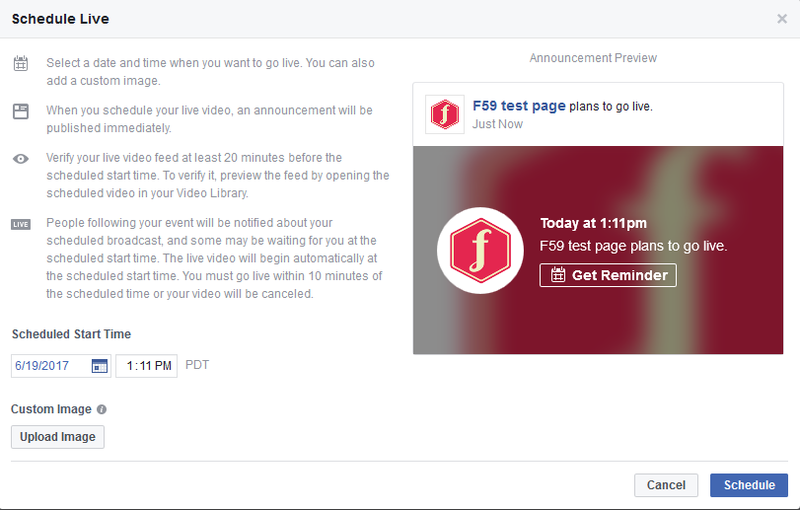 Copy the Server URL and Persistent Stream Key information and send this information to Field59, before the start of your Facebook Live event (If you need to find the credentials closer to the time that you’ll be going live, they are also available by editing the post in Video Library). Please note: If you de-select the “Use a persistent stream key” option, you’ll have to update your publishing information with TownNews each time you want to do a new live event on Facebook. This is not recommended. It is better to use the persistent key because you only have to set this up one time. On the right hand side, populate your information about the live event — text, title, tags. Then at bottom right, click on the down arrow button and select Schedule. Set your Scheduled Start Time and then hit the Schedule button at lower right. If you wish to stream through the Field59 player and record your stream into your Field59 account at the same time that you are streaming on Facebook, follow our guides to publishing live stream events and setting events to record in the Field59 manager.